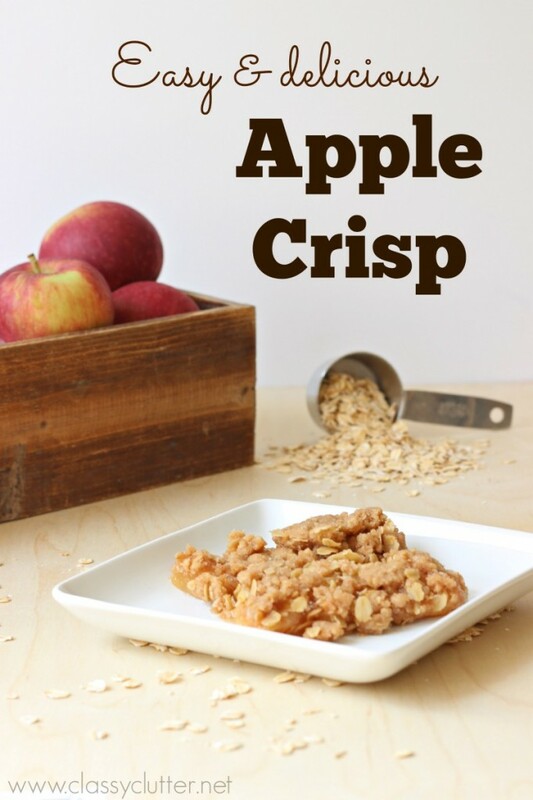 I say this all the time but I think I’ve found the BEST Apple Crisp Recipe! It is from the same cook book as my Salsa Recipe but since it isn’t a mass produced recipe book, I thought I’d share it with you! It is ammmmaaazing! Peel and slice apples. Place applies in 8×8 or 9×9″ baking dish with water and sprinkle with cinnamon. If using apple pie filling, open cans and spread apples in the bottom of the dish. Mix dry topping ingredients then add in the butter and work into a crumble. I use my hands or a large fork for this step. Spread topping crumble over top of the apples. Bake at 350* for 25-30 minutes until golden brown and bubbly! Top with a scoop of vanilla bean ice cream to make this yummy treat over the top SCRUMPTIOUS!! Try it and let me know what you think! I posted an apple, pear, cranberry crumble recipe, a bit similar but this one looks a tad easier. Yummy! What are cubes of butter? Tablespoons? Looks DELICIOUS!! Cubes are sticks of butter as they come packaged from the store. Each stick or cube is 1/2 cup. Hi! I have used this recipe many many times and each time used the same amount of flour (2 cups). Not sure what went wrong for you. Was your butter melted all the way? Melted butter could cause it to make a paste perhaps. Make sure your butter is softened not melted. The picture of the first step in the recipe with the sliced apples, 1/4 c. water, and a pinch of cinnamon looks nothing like what I have. Your picture shows an awful lot more juice or something than I have in mine. Given that it’s only apples and a small bit of water, where did all of that other liquid come from? 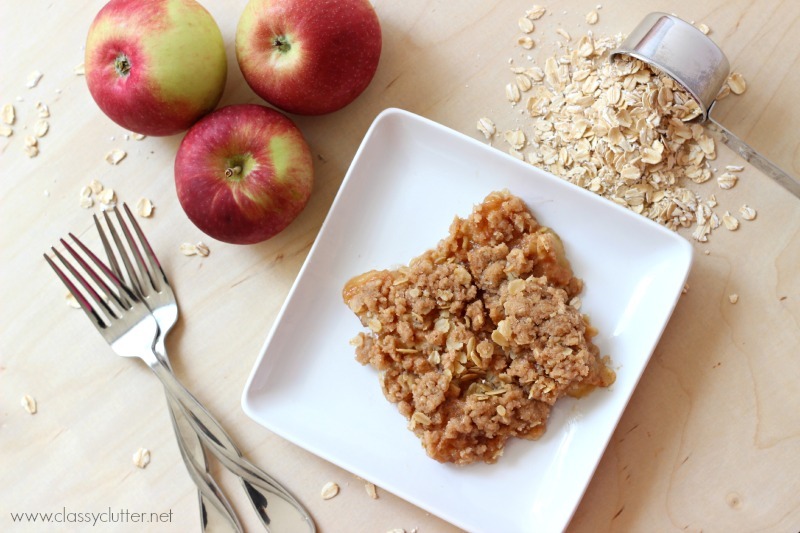 Are the apples baked prior to adding the topping? Hi William! For the photos I was using apple pie filling (Precooked apples in the sauce) so it may look different than yours but it should work just the same! Thanks! !